I am red... by nature. Photo wallpaper - I am red... by nature. Every time when you look ahead and see millions of objects moving around our planet, you can’t imagine how powerful the Creator had to be to create such beautiful creatures and plants. 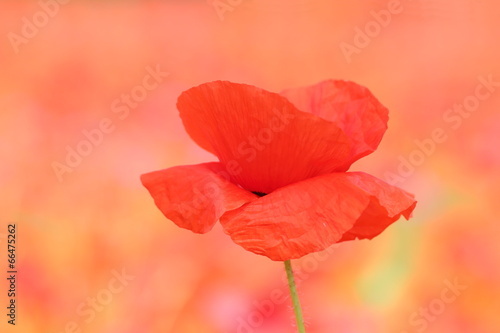 The photo wallpaper depicting a red poppy will be a beautiful addition to the living room. Your house will start pulsating with life.